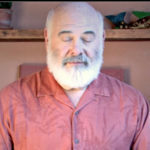 Breathing Basics | Mindful Breathing | Andrew Weil, M.D. At the very center of our being is rhythmic movement, a cyclic expansion and contraction that is both in our body and outside it, that is both in our mind and in our body, that is both in our consciousness and not in it. Breathing basics are the essence of being, and in all aspects of the universe we can see the same rhythmic pattern of expansion and contraction, whether in the alternating cycles of day and night, waking and sleeping, high and low tides, or seasonal growth and decay. Oscillation between two phases exists at every level of reality, even up to the scale of the observable universe itself, which is presently in expansion but will at some point contract back to the original, unimaginable point that is everything and nothing, completing one cosmic breath. Breathing is a natural object of meditation. By putting attention on your breath, you will change your state of consciousness, begin to relax, and detach from ordinary awareness. 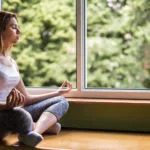 Many systems of meditation use focus on breath as the main technique. In the Buddhist and yogic traditions are many examples of people who reached enlightenment by doing nothing other than paying attention to the rising and falling of their own breath. In this sort of meditation you can try to experience the dimensionless point between inbreath and outbreath and to glimpse enlightenment in that space. You can come to know reality itself as an eternal oscillation between being and nonbeing. All this is possible from experiencing breath, which is the mystery of being unfolding right in front of our noses, connecting us to the universal rhythm. If today you can be aware of breathing for 10 seconds more than you were yesterday, you will have taken a measurable step toward enlightenment, will have expanded your consciousness, furthered communication between mind and body, become a little more whole, and so improved your health. While diet and exercise are important, they are not the sole determinants of health. People who eat excellent diets and exercise faithfully are not always healthy, but the likelihood of being a healthy person who does not breathe well is slim. When learning how to breathe, begin by closing your eyes for a few minutes. Practice moving your breath. Keep your back straight. 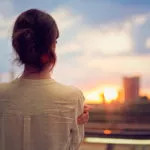 Begin with a deep, audible sigh, then quietly inhale and see how slow, deep, quiet and regular you can make your breathing and still have it feel perfectly comfortable. You should feel that you are getting enough air with no sense of not getting enough air. Do this for at least eight breaths, then open your eyes and breathe normally. This is a simple exercise but an effective one, and you should do it whenever you can. Next, pay attention to your exhalation. If you watch people breathe, you will see that most of them use effort to inhale but none to exhale. Exhalation is usually passive and takes less time than inhalation. When you breathe this way, you do not move nearly as much air in and out of your lungs as you can. The more air you move, the healthier you will be, because the functioning of all systems of the body depends on delivery of oxygen and removal of carbon dioxide. To get more air into your lungs, concentrate on getting more air out of them by attending to exhalation. At the end of a normal breath try squeezing more air out. You will be using your intercostal muscles to do this, and you will feel the effort as they compress the rib cage. Try to make your exhalation as long or even slightly longer than inhalation. Whenever you think of it, practice this technique of extending exhalation and developing your intercostal muscles.